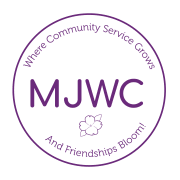 The Midlothian Junior Women’s Club (MJWC) is a philanthropic civic organization dedicated to improving the lives of others in our community. We raise funds through our Midlothian Village Day Festival & Craft Fair to support Cinderella Dreams and our other ongoing projects helping area charities such as Richmond Friends of the Homeless, Dress for Success, Christmas Mother, the YMCA’s Bright Beginnings program, YWCA Emergency Shelters for victims of domestic violence and many others. Would you recommend MIDLOTHIAN JUNIOR WOMENS CLUB INC?